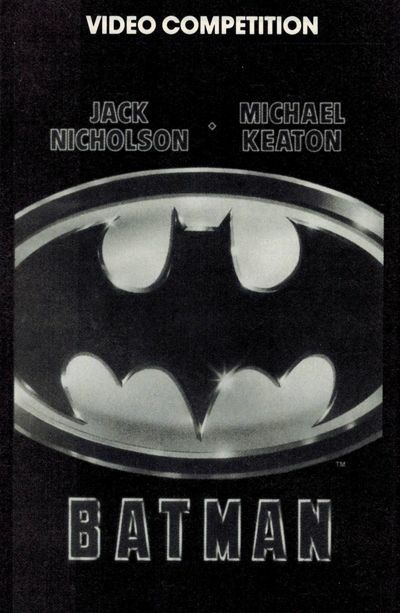 Even almost a year after its release, the Batman film was still being viewed as a way to move merchandise. 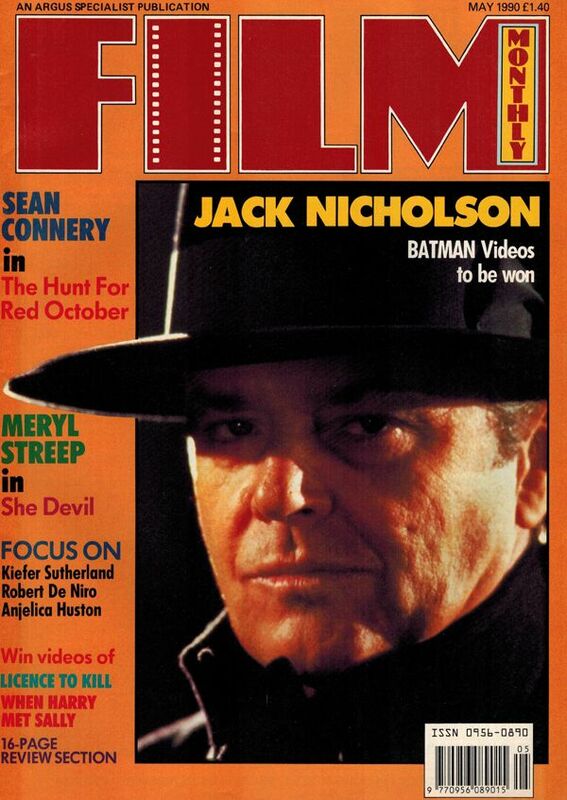 Case in point- This May 1990 issue of Film Monthly. 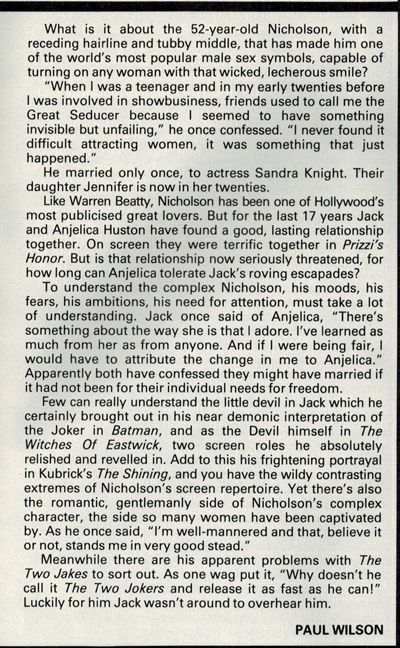 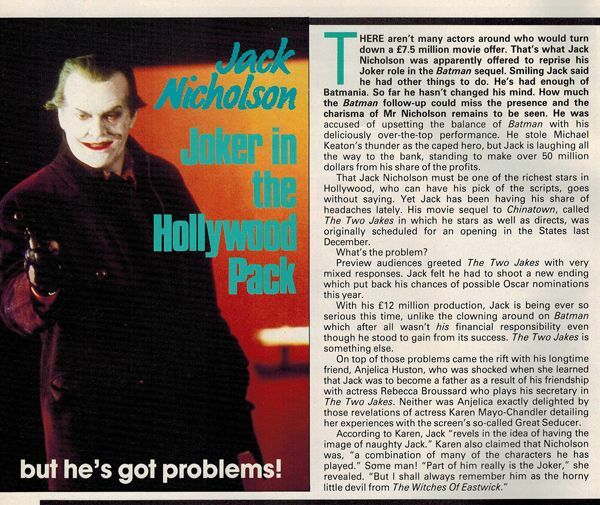 Sure, the focus of the written portion of the article is on Jack Nicholson's upcoming projects... but that didn't stop the publishers from selling it with pictures of Jack Napier, Joker, & Keaton's Batman. 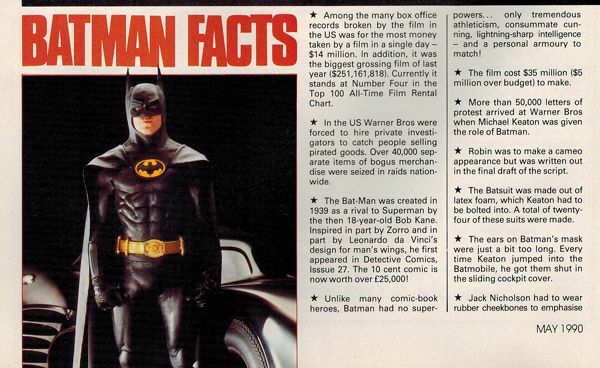 There is even a snippet with Batman factoids and a contest to win a Batman VHS. 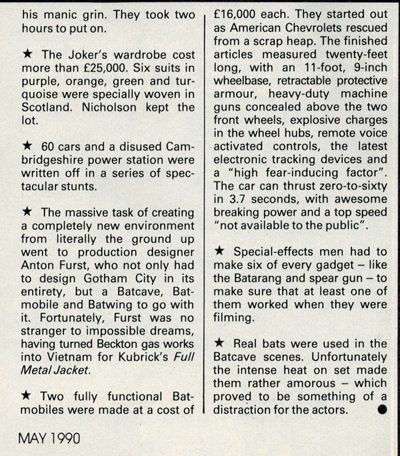 1 year later... and Batmania was still much alive. 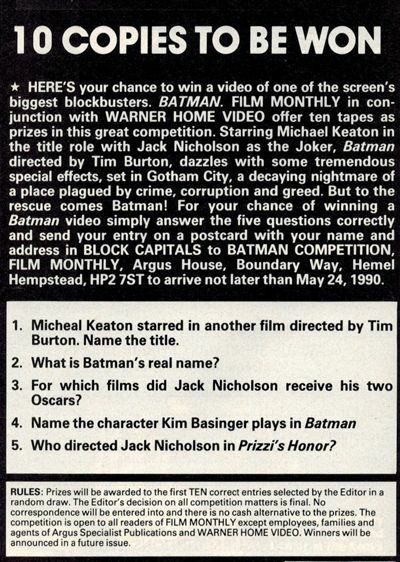 I never saw any, so I do not know if the contest was real or false advertising to sell VHS.